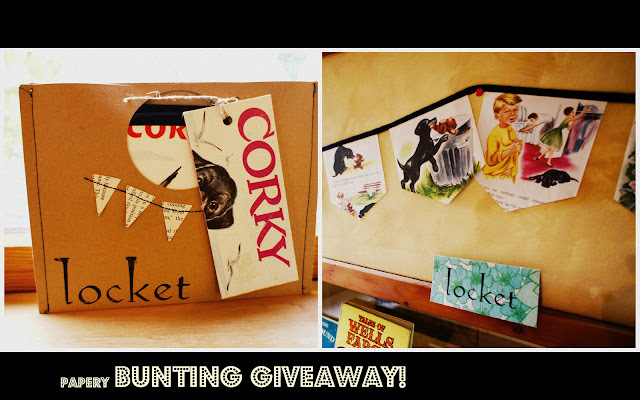 to enter the bunting giveaway, you have until tomorrow lunch time. And if you post anonymously leave me an email addy so I can send you your spoils. Oh and chances of winning are high.. Meanwhile Arlo set out to make me this tonight, his version is a little more abstract! This afternoon became a white floored, blur of speed. And some guffawing. 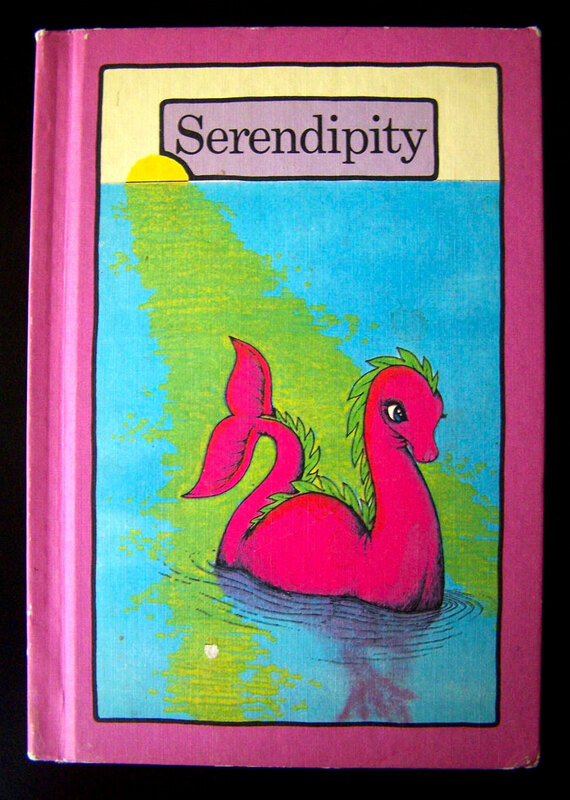 I also found a collection of serendipity books. 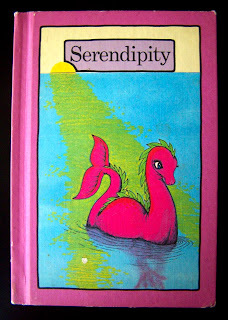 I sure loved Serendipity as a child. Reading it tonight to Arlo I suspect it may have had some kind of minor effect on me... Its a sweet, save the ocean story, with a pink lochness like creature. Nothing short of the nostalgia I've been asking for in yesterdays bunting handout. I have a right smart 'Corky the friendly puppy' book bunting to rehome, all 2.7ish meters of it, hand cut and sewn onto navy bias. 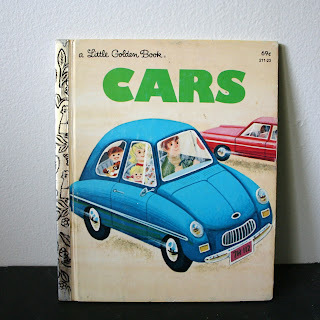 To win just go like my locket facebook page and post a comment on here telling me what your most nostalgia ridden, all time favourite childhood book is and I shall announce a winner on Friday. Go on, chop chop! I think my fav (at the mo!) is a wee golden book called Cars, all those swish vintage wheels! Thats my standard greeting to my dear west coastal buddy. You know hiho its off to...somewhere we go or just a plain dirty hi. I feel like I need to make another sweeping statement to write more often. But we all know how that deal ends. So I'll just be wandering over this way a while shall I? I've been pulling up my socks and stomping about a bit. Sweetly slashing books and tidying my locketship. Then pretty quickly dashing it's hopes of spartan spick and span'ness by trashing it all over again. I must say market prep when one is pulled in many directions and with a solid dose of obstinate procrastination, is lots of fun. And coffee.coffee.coffee. Last nights craft love festival market was a golly good time. Fabulous music and splendid belly dancing made for a super time for all. I've made rather a lot of vintage book buntings as seen at Craft Love. Sweet old pages hung on bias binding and also available here in my Felt Shop. The other wee goodies I've been creating are little diy garland sets, simply twine and 11 wee rounds of vintage illustrations to be self threaded. All swoonable and pretty good for my soul. And no I only cut into about 5% of my small book collection. I save books from a life of shame, such as Heidi below. I'm sure a rodent of unusual size tried to make off with her. Last weeks gottomakestuffrightquicklyorlooklikealoserwithnothingatherstall started off with my making a cushion for me. I used some of my favourite sparrow print fabric I was koha'd a while back. 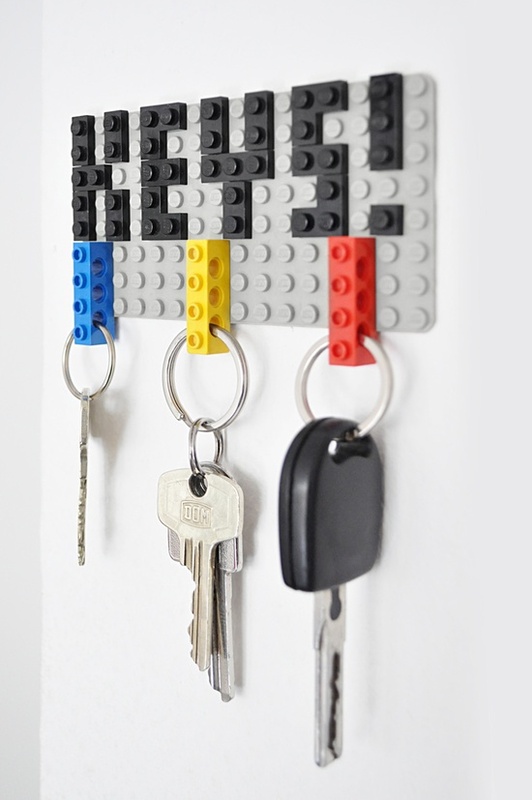 Its been hidden lest I accidentally use it on an unworthy project for a couple of years now. Finding the perfect vintage orange velvet spurred me into cushion making, well that and the fact I had other important stuff to do. I do so love the orange and green. Thats a little scrap of my studio. Waiting to paint that super lovely knotted pine, white. Scratching the blackboard kind of waiting. I'm reminded that the earthquake repairs are "more important than that" but hell, yes, paint it! Back tomorrow with some kind of giveaway of the papery kind.